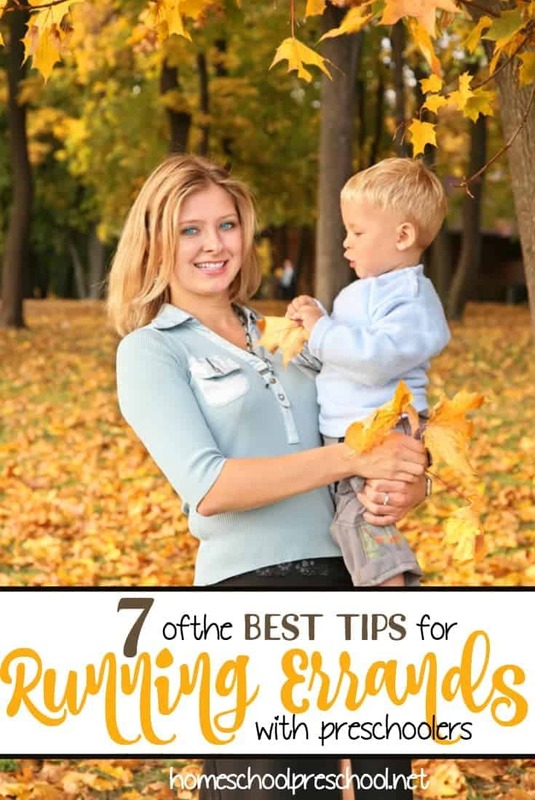 Having your child help out around the house at an early age is a great way to prime them to help out when they are older (and prepare them for when they are adults and have their own homes). 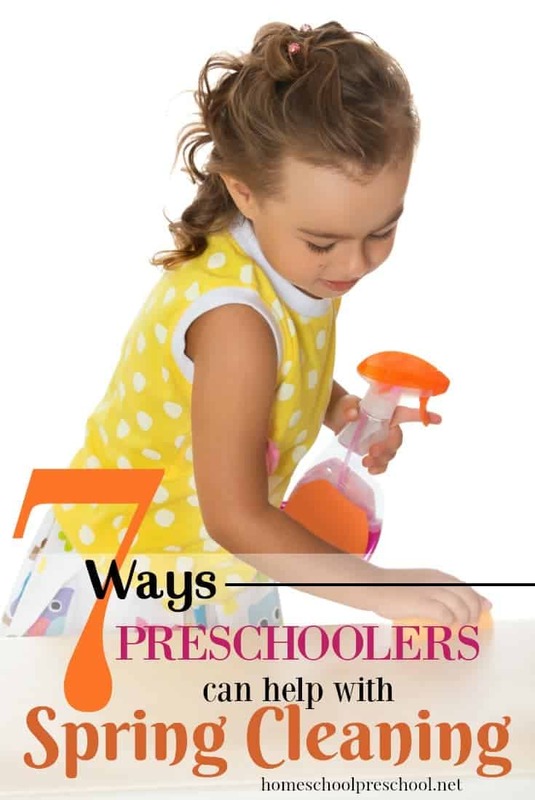 However, what are some chores that you can do with your toddler or preschooler? Below you will find a list of ideas for things you can invite your child to do with you that they might actually enjoy. 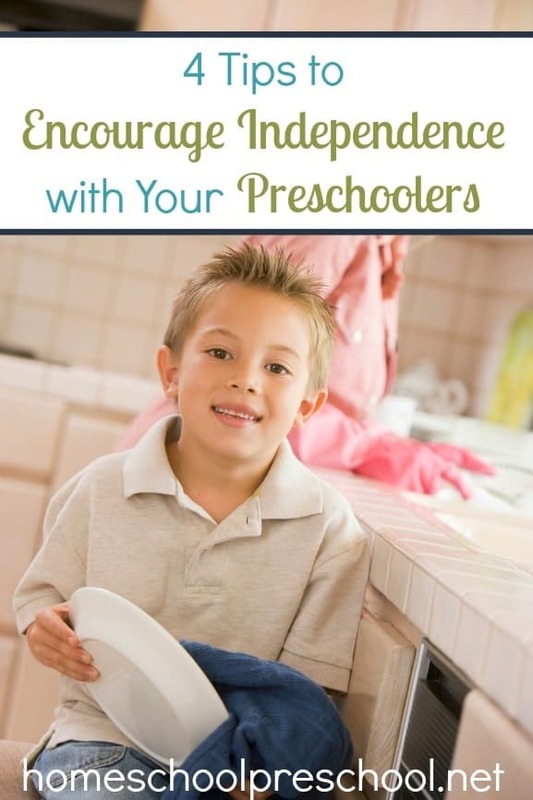 Many of them can even be done independently by older preschoolers. The next time you have to do laundry, enlist the aid of your toddler. Let him help you gather up the dirty laundry from around the house and carry it to the laundry room. Show him how to sort the clothes by color. Let him help you load the washing machine as well as measure and pour the laundry detergent. Once the clothes are clean, pass clothes to him to put in the dryer. Then he can help you fold clothes and take them back to the bedrooms to store in drawers. If you have a pet (or two), teach your child the basics of caring for it. Show them how much food your pet needs and how much water it needs to drink each day. Let them help you take pets for walks and encourage them to spend time with the pet each day. If there is a small mess to clean up, let your child help by handing them a cloth rag, a small broom, or a mop. When they finish, make a big deal about how helpful they were and how well they did cleaning up. Hand your child a pair of socks and tell them to put them on their hands. When they stop laughing and telling you that you’re silly, tell them that you are going to have fun rounding up dust bunnies around the house. Show them a few areas of the house where dust normally accumulates (such as on wooden furniture and floorboards) and ask them to help you clear it all up. When you go to get groceries, take your child with you to pick out and pay for the groceries. Then, once you are home, enlist their help in putting away the groceries. When it is time to eat, ask your child to help set the table. Start out by asking them how many place settings you need to set and then collect all of the dishes, silverware, and cups you need. Then let them help you put everything on the table. A lot of kids love helping with dishes because it gives them the opportunity to play in water. The next time you have to wash dishes, ask your child to help you. They can gather up the dirty dishes to put in the sink (make sure they aren’t handling any sharp utensils or heavy dishes/pots). 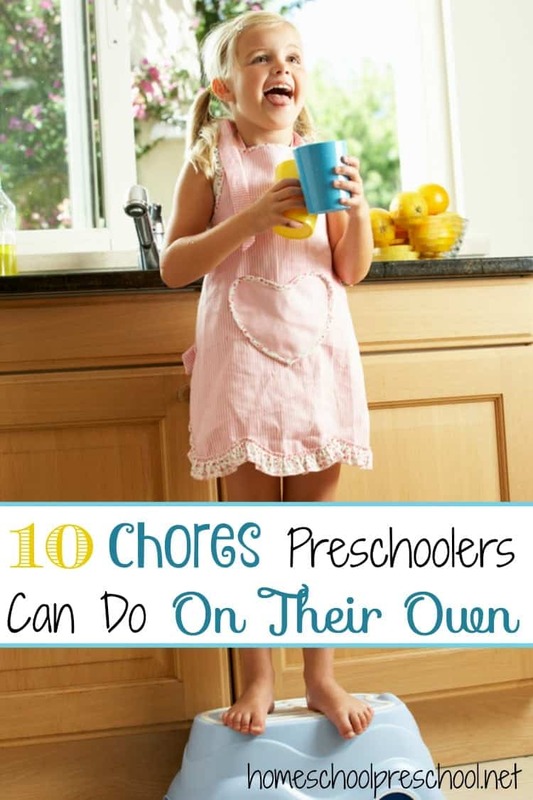 Show them how to wash the dishes, dry them, and then put them away. When you go through the house to straighten up the beds, ask your child to help. This can include changing the sheets and pillowcases on a regular basis. At the end of the day, make it a habit of asking your child to do a quick sweep of their room for toys and books that they were playing with that day. You can even make a game of it by telling them that it is time for their toys to go to bed as well. If you have plants or a garden, let your child help you water them. This can also get them excited about nature (and edible plants). Bonus! Your little ones will love checking their helper chart each morning to see how they can help you out around the house. Print out these pages, and laminate them. Cut the chore cards apart, and attach them to the “Today I will help…” chart each morning. Just click on the image below to download your free chore cards.